Museum Friends have had a busy sociable March. First, we held our Spring Coffee Morning on 12 March when we were grateful for a fine sunny morning after so much rain. Items new for this season from the Museum shop were on sale, including colourful jute shopping bags, a range of striking nature cards, coasters, and a chough made of St Agnes tin. We also had a book stall selling exclusively Cornish books which aroused much interest, as well as our usual raffle, cake stall, second-hand books, bric-à-brac, and delicious filter coffee. The morning raised a useful £374 for our funds. 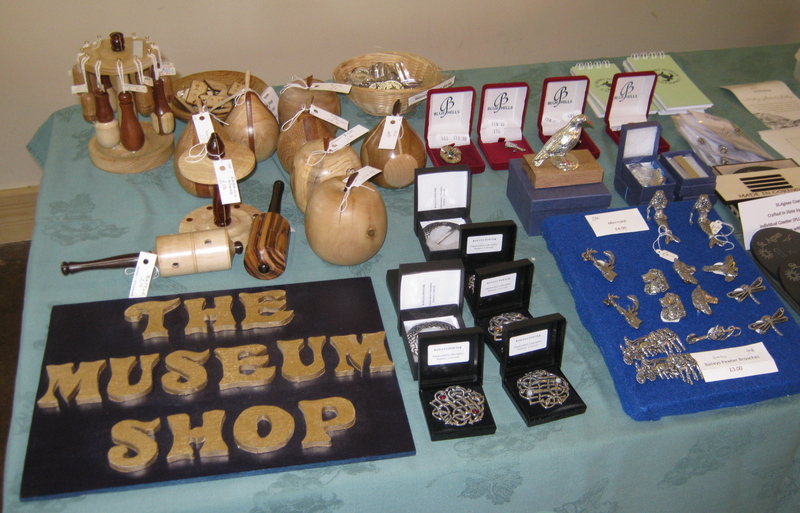 The following Saturday, Friends of the Museum met at the Museum for drinks and nibbles, kindly sponsored by Mandy Kimmins and Printout Printing Services, and for a first look at items acquired by the Museum over the winter. It was a very convivial morning, much appreciated by all. 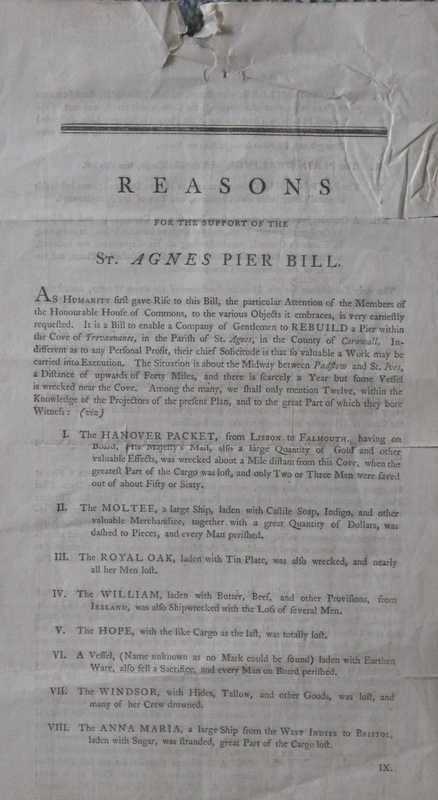 St Agnes Museum is delighted to have been able to purchase a rare, late eighteenth century handbill entitled “Reasons for the support of the St Agnes Pier Bill”. Among these reasons it lists a dozen shipwrecks, including the Hanover, which might have been prevented had there been a harbour at St Agnes, and says a harbour would promote the pilchard fishery and mining industry. It points out the opposition to the harbour by the “Proprietors of St Ives Pier”. The Museum is very grateful to its supporters whose donations to the New Purchases Fund have made this purchase possible.